I'm sure we've seen our share of 'How to give your pet a personality' articles. I've seen TWO in my Neopian lifetime. Count it. TWO. Wow. Isn't that a big number? :D Originally I wanted to write one of those articles. But then I remembered they have a low chance of getting accepted, since there are existing articles with that topic. Well, I'm a generally weird, strange person. Well, at least I like to think I am. But I digress. 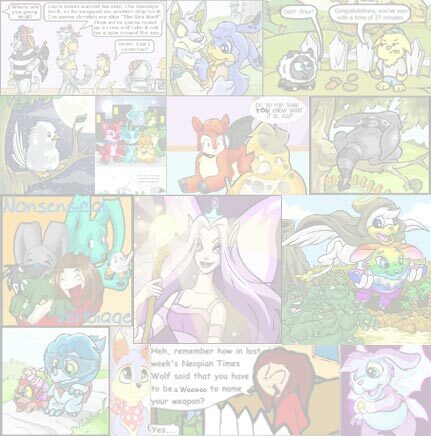 Well, you can just hop over to the 'Comics' section of the Neopian Times if you don't want to hear my boring rantings. Yep, go on. I don't care. Really. Here I'm going to cover different kinds of Petpets. = Selket - Ah, yes. One of the cheapest Petpets ever, aside from the Abominable Snowball. But pushing that Spooky Petpet aside, let's get on-topic. The Selket's description says, "A Selket will burrow underground at the first sign of danger." You can make your Selket do just that, or you can make it burrow underground ANYTIME, like my Zafara's. Or, you can make it bury itself when it sees a pet with the word 'Danger' in it's name. = Anubis - Ah yes, the ever popular little thing. The description says, "Anubis is a friendly little fellow, who will try not to judge you in any way." Well, you could say that Anubises (What's the plural!?) are really considerate Petpets who just about love everyone. You can make your Anubis love absolutely EVERYTHING and EVERYONE, including Lord Kass or Doctor Frank Sloth. = Khamette - Aw, these poor little things are usually forgotten like Khnums and Scarabugs. Oh well. Description: "Khamette like to live in dusty tombs where they sit still and pretend to be treasure. If somebody tries to pick them up they usually bite their fingers and run away giggling." You can make your Khamette a wily little trickster who's sly, or if you're a weirdo like me, you'll make them randomly romp around trying to eat everybody's fingers. + Spooky Petpets - Ah yes, the misfits of the Petpet world. Even though they have the word 'Spooky' in their item type, who says they can't be absolutely adorable? = Abominable Snowball - Seriously. This NEEDS to become a Wintery Petpet... I digress again. The ever-so-lovable A. Snowball (Too lazy to type it out) is the victim of MANY MANY jokes that involve the color 'Yellow' and the word 'Snow'. You can make yours just be sweet, or you can make it angry like Matt-the-angry-programmer and try to kill everyone. Hey, it's a Spooky Petpet. = Meowclops - This one is so so popular because of that avatar, and it's cool-and-cute appearance. My suggested personality is to make it have x-ray-vision. Really. If your Meowclops has that type of personality, you can probably make a comic out of it. = Meepit - O_O Well, there's nothing much to say about these little things, except the fact that those huge, staring eyes and their game 'Meepit Juice Break' can make everybody have a personality for them. Imagine a Faerie Meepit who gets drunk on Juppie Juice. 'Nuff said. + Pirate Petpets - ..... AAAAARRRRRRRRRRRRRRRR. = Weewoo - Well, you can make yours like a mini-rooster, saying 'WeeeeeWooooo' whenever the sun rises. If you even manage to get a White one (Which I highly doubt because White Weewoos DO NOT EXIST!! XP) you can make it be a ghostly thingie. = Pawkeet - Can easily be classified as a Deckball-addict. = Florta - You can make yours have a weird obsession about Flotsams. Yep. + Wintery Petpets - Is it cold here, or is it just me? Oh Herrine, why is your Snowbunny in the refrigerator..? = Jinjah - Hahahah, you can't catch me, I'm the gingerbread man! o_O Most likely yours can be paranoid about someone trying to eat him. = Fir - It can be a real meanie agitated angry one since you keep on using yours as a Christmas Tree. = Angelpuss - Yours are most likely being perfect angels right now. But hey, you can make yours more of a Devilpuss too. = Warf - Yours can be severely scarred by that one particular NeoGreeting which involves another Warf, a Snorkle, and the color red. Snorkle-phobia, yes. = Spyder - It can be a little hunter, eating all the bugs that dare venture into your kitchen. Step 2: Now that you've got some ideas, let's talk about their appearance. +Mutant - You can go with the stereotypical mutant style and make your Petpets mean irritated little evil incarnates. Or you can go for the direct opposite and have a Petpet who loves the color Pink, White and Neon Yellow. +Faerie - The 'feminine look', eh? You can also make your Petpets girly, but then again, making them have an attitude like "Gimme Juppie Juice or else I'll bite your neck off and sell it to Illusen" is more unique... Even albeit weird. +Cloud - Your Petpet must be SUCH a daydreamer, no? Your Petpet must take after your Neopet... or vise-versa. If you have a Skeith who eats little Meepits for lunch and its Petpet IS a Meepit, you can make your Meepit like eating big SKEITHS for not only Lunch, but Breakfast, Snacks and Dinner as well. If your pet is a battler paying frequent visits to the Battledome to squash Giant Spyders, your Petpet can be a little mini-battler, too! :D As long as you have enough Petpet battle wins. So there you have it! 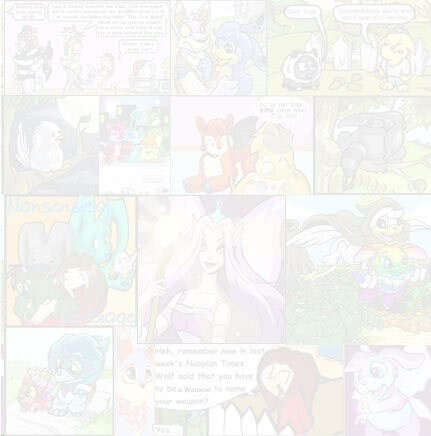 Three steps to customizing not your Neopet, but your Neopet's Petpet. Happy personality-making! :D And remember - if you're reading this, you must be really bored.